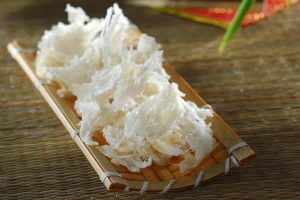 Edible bird’s nest (EBN) is one of the commonly use health-modulating foods in Chinese populations. In traditional Chinese medicine, EBN is known for its beneficial effects in treating several ailments including consumptive disease, tuberculosis, asthma, dry coughs, stomach ulcers, gastric troubles and bronchial disorders. 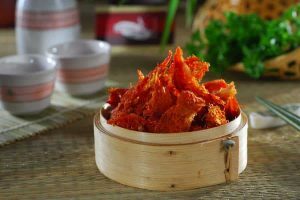 Due to food and medicinal values, EBN is quite an expensive animal bioproduct, and has thus created lucrative industry in Southeast Asia. 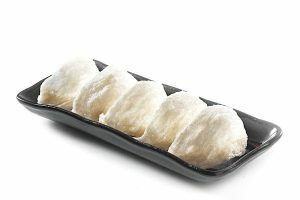 It is one of the main contributors of gross domestic product in several Southeast Asian Countries like Indonesia, Malaysia, Philippines and others. EBN is the dried saliva of swallows / swiftlets commonly found in the Southeaast Asian Countries e.g. Indonesia, Malaysia, Philippines, Thailand and Vietnamese. Swiftlets are tiny insectivorous birds that often keep on catching insects during flight from nearly first light until dark. Amongst the several swiftlet species in Collocalia genus, only the nests producted by Collocalia fuciphaga, Collocalia germannis, Collocalia maxima and Collocalia unicolor are commercially important due to their human consumptions. 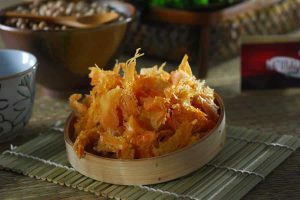 Edible bird’s nest (EBN) is called differently in different languages e.g. Yan Wo in Chinese, Sarang Wallet in Indonesian and Enso in Japanese. The saliva secreted from the sublingual salivary glands of swiftlets during nesting and breeding season is the main material used in building of the nests. Generally, the sublingual salivary glands of swiftlets increase in weight from 2.5 to 160mg, and reach their maximum secretory activity during nesting and breeding season. Nests are built using saliva as a cementing material for binding feathers and other vegetation together. It also ensures firm attachment to the vertical walls of inland or seaside caves. The grading of EBNs is measured on account of their dry mass, the time spent by swiftlets in building nest, and finally the fat and protein content of hardened saliva. As an example, the white nests are almost entirely made from saliva, while the black ones are composed of almost 45-55% feathers and small dried leaves. The bowl shaped EBN is the most popular one in the market compare to other shapes e.g. triangle (corner nest), broken pieces, etc. The earliest history of EBN trade dates back to almost 1000 years ago in China, during the Tang Dynasty (618-907 A.D.). However, some researchers believe that the EBN trade can only be traced back to 1589 when Ming Dynasty ruled the ancient Chinese Empire. It is said that the Admiral Cheng Ho visited Southeast Asia and was given gift of EBN from Indonesia for the Ming Dynasty’s Emperor. This is assumed to be the initial stimulus for opening the trade of these valuable nests. During the ancient Chinese civilization, only the families of the Emperor and his ministers were privileged with the right to consume the highly valued EBN. But, after the end of the monarchy system in China, the general population was introduced to EBN. Because of the delicious, nutritive and medicinal properties of EBN, its fame rose gradually and steadily among the general public. 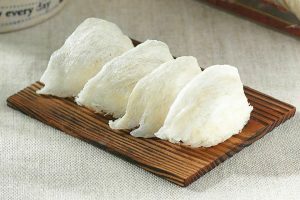 Nowadays, EBN is reputed as one of the most popular delicacies among the Chinese communities. In addition to the consumption of EBN for health-promoting effects and nutritional components, most of the people consume it as mere delicious and nutritious food item. TCM has claimed a long time ago that EBN has highly encouraging effects for the cure and treatment of consumptive diseases, difficult breathing, dry coughs, alleviating asthma, tuberculosis, hemoptysis, asthenia, improving voice, stomach ulcers, relieving gastric troubles and general weakness of bronchial ailments. Besides, EBN is also famous for the proper and healthy nourishment of kidneys, heart, lungs and stomach. Additionally, it helps in raising libido, fortifying the immune system, promoting growth, improving concentration, improving skin complexion, slowing down the aging processes, increasing energy and metabolism, and regulating circulation. The regular consumption of EBN has been associated with healthy effects such as high-spirited physical and mental strength, and youthfulness restoration. Proteins are the main ingredients of EBN. They are generally used for the building and repair of body cells and tissues, and driving other metabolic functions. Carbohydrates are another major ingredients of EBN. Sialic acid is one of the major carbohydrates found in EBN, which mediates the distribution and structure of gangliosides in brain. The essential trace elements such a calcium, phosphorus, iron, sodium, potassium, iodine and some essential amino acids are the other main and major ingredients in EBN. In the view of these facts, EBN is highly nutritive and restorative food with sweet and calm character appropriate for consumption by all age groups of all genders. Recent studies have demonstrated EBN as a potent medicinal substrate with a wide range of medicinal properties including antiviral, anticancer, eye care, bone strength, neuroprotective and anti-oxidant effects. Besides, EBN has been found to potentiate the proliferation of HASCc. In addition, epidermal growth factor like activity has been documented for EBN in several experiments. Although EBN has been traditionally prescribed to cure diseases for many generations the actual characteristics and properties of EBN have not been studied in detail. At present, the main target market for EBN is the Chinese community all over the world. However, Hong Kong, Mainland China and Taiwan stand out as the top consumers of this product followed by Singapore, U.S.A. and Middle East countries among others. 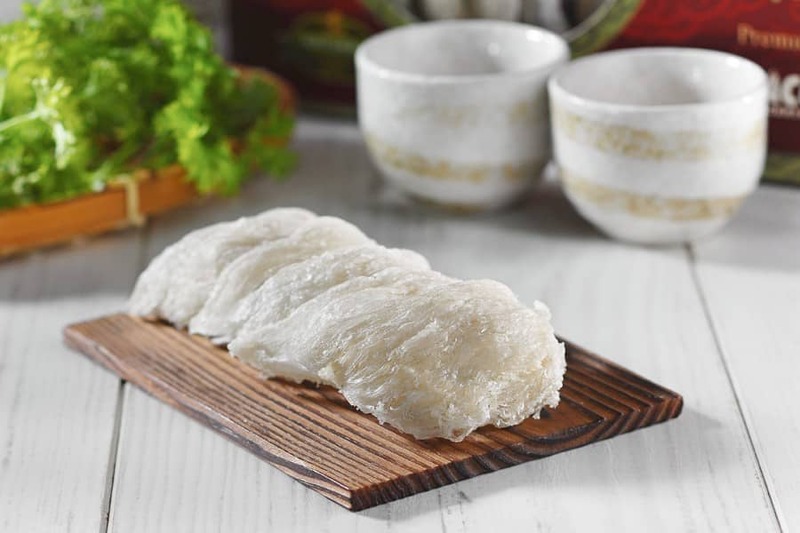 Bird’s Nest soup is regarded as an esteemed cuisine by upper class Chinese families and highly appreciated for its health benefits. At diners in expensive Hong Kong restaurants, each bowl of the highest quality bird’s nest soup costs almost USD $30 – $100. There is a stable demand for EBN from the restaurants. However, the demands are at peak during the Chinese New Year period. EBN is usually given as a gift during this period as it symbolizes good health and longevity wishes for the recipient. EBN is highly expensive animal bioproduct. The trade of EBN in the global market has been on the rise for decades. It is expected that the demands of the EBN will continue to increase irrespective of their low production. My wife used EBN 8 months ago till now and her skin start to change, it becomes brighter and healthier, not pale as before, need to use in long term to have good result.